Happy Spring, one and all! 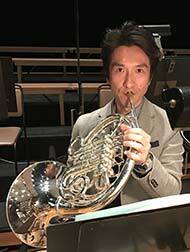 This month, the E-Newsletter team thought it would be great to highlight those most essential and rarely celebrated members of the horn community--LOW HORN PLAYERS! We've had a great time assembling this issue, and hope that you find it interesting and informative. 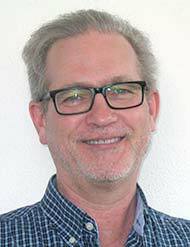 Our main interview of month is Charles Putnam, from the Beethoven Orchestra Bonn, and the former low horn genius of the American Horn Quartet. There's the video introduction by Jeff Nelsen to brighten your day, and we also have low horn articles by Audrey Good, Yasushi Katsumata, Denise Tryon, Howard Wall and Sarah Willis! Along with these special pieces, we have the pedagogy column, this month featuring Takeshi Hidaka. Enjoy this month's issue and don't forget to hug a low horn player! P.S.-IHS Natal is coming quickly! Looking forward to seeing you all there! Kristina Mascher-Turner: Can you tell us about your early training - when did you first become fascinated with low playing? Charles Putnam: My early training was similar to most young horn players in the states - high school band and community youth orchestra; I was lucky enough to have great teachers and conductors. I also participated in summer music festivals (Eastern Music Festival was a highlight). My low range growing up was not very strong. 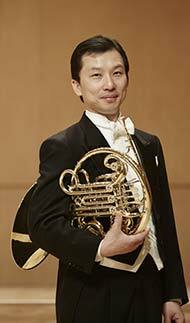 Like most young players, I concentrated on playing high horn. I participated in a local horn club in Gainesville, Florida that introduced me to high and low horn playing. Everyone seemed to either want to play the first part or the fourth part. At university, we were always involved in large horn ensembles or quartets. Playing second horn on duets is very important for students in order to learn how to match articulation and intonation with the first player. 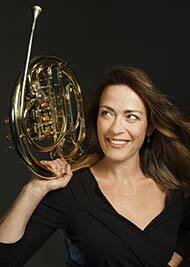 When I started playing professionally, I played only high horn. It wasn’t until I went to Italy and Germany that I was exposed to playing low horn in an orchestra. I always enjoyed being part of a team, of a horn section that enjoyed playing together. I was involved with other European horn quartets early on so I had plenty of experience playing low horn in horn quartets before joining the AHQ. KMT: In your daily life as an orchestral player, your position is that of “Wechselhorn” - playing both high and low. How do you keep up your high and low chops at the same time? CP: All professional horn players, no matter their position, will be required at some point to play high and low. The problem with the “Wechselhorn” position (2nd and 3rd horn) is that there may be times where you have to play third horn on some Strauss or Wagner opera and then the next night, have to play the same piece on second horn. When playing 3rd horn, you need to have a strong high range to support the solo horn player in some passages and play with brilliance in your sound. When playing second horn, you need to be able to support the 4th horn player with solid low notes and a good core sound and volume. It is a tricky balance, and I feel that sometimes one of those two aspects will be compromised. Either you will have a stable and strong high range with an adequate low range or a strong and stable low range with an adequate high range. I am always looking at my playing schedule in the orchestra to see what pieces are coming up and adjusting my warm-ups to either strengthen my upper range or strengthen my lower range. KMT: Tell us about the early days with the American Horn Quartet. How were you asked to join, what were some of your earliest projects, when did you realize you were part of something big? 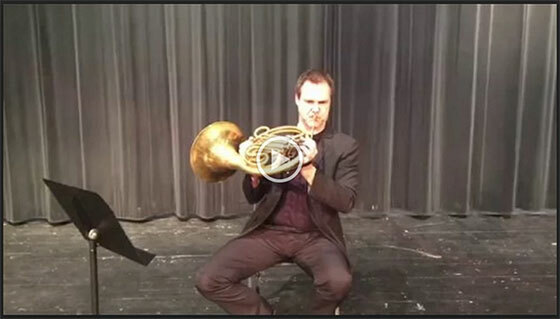 Jeff Nelsen talks about low horn playing. Click to play the video. In this video “Low Horn – Just 3 Things” Jeff gives you three ideas for each of the above factors of performance. He’s sharing general concepts and approaches to them, through which some discoveries and growth can be found. Experiment freely with these concepts, and contact Jeff through email anytime with your questions. Download the accompanying PDF here. Very few horn players are naturally gifted in the low register of the instrument, but this doesn’t mean you can’t become a great low horn player!! The question I get asked most often is “how can I improve my low register?”. My first answer is always “try practicing more in the low register”! I am perplexed when people tell me they average 15 - 20 minutes a day practicing in the low register, and then wonder why it isn’t as developed as their upper register. I find most people just don’t practice down there enough - for whatever reason - they’re focused on their upper register, they’re worried it will harm their upper register, they don’t sound as good in the low register so they avoid it (just to name a few). My ideal practice session is completely balanced in all fundamental techniques (high/low, loud/soft, slurred/articulated, etc). I start in this key and go down chromatically. I play this as low as I can play, and don’t sacrifice loudness for breath. If you need a breath in the middle of a slur, stop, take a breath, restart on the same note and go on. Play the slurs as smooth as possible. In the third round I was asked to play the Shostakovich 5 low excerpt again "this time louder, please". Thank goodness I had practised it louder and still had a bit of forte in reserve! My first concert after getting tenure was Beethoven 9 - a no pressure, small concert.... live TV in the Philharmonie! All rather terrifying and funnily enough, I felt more under pressure to play well so as to show my new orchestra they hadn't made a mistake by giving me tenure than I had during the trial! A scary concert. But it went well, and I remember being so grateful at the end of the 3rd movement that Beethoven had written us low horns such a wonderful solo. I am Audrey Good, second horn of the Toronto Symphony Orchestra, and fourth horn in the Four Hornsmen of the Apocalypse horn quartet. Twenty years ago, I was a frustrated piano student who wanted something more…something glorious and shiny that leaks spit onto your favourite pants. My earliest experience with a live horn was the Champaign-Urbana Symphony Orchestra’s production of Peter and the Wolf. When the hornists stood up at the end and revealed the full glory of their instruments, I fell in love. How could something so lovely play such an evil character? So dark and haunting…and low. Despite my newfound conviction that the horn was the key to unlocking my destiny, it took a bit of time to convince my parents that I was serious. A bit of time…and a rubber hose. I acknowledge now that it’s cruel to families to teach children that by buzzing on a rubber dishwashing hose, they can achieve a somewhat horn-like stretch of the harmonic series. But armed with this demonstration fresh in my mind, I gained access to our own home’s rubber hose and proceeded to wage psychological warfare on my immediate family. It’s a passing fling, they said? I wouldn’t continue to practice piano if I played the horn, they said? My zealous dedication to wrapping the beloved hose around my upper body like a moldy sousaphone proved otherwise. Sometimes I marched around the house with it, and other times I sat with the poise of a queen, but I gargled through the available intervals daily. I think the general consensus in our household became “Nothing could sound worse than this.” (They had never heard a beginner hornist.) 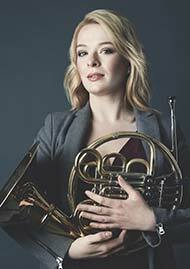 On my 10th birthday, I met my first horn—a yellow brass, single f Yamaha. It was the most beautiful thing in the world. Lifetime Membership rates are increasing on July 1, 2017. Become a Lifetime IHS member now and save, save, save. Lifetime memberships are calculated on a twenty-year basis, so you pay only $750 now – the equivalent of only $37.50 a year for 20 years and after that its FREE! Sign-up online at https://www.hornsociety.org/membership/join (remember to scroll down to find the Life Membership) or login to your existing membership and choose "My Profile" to upgrade to Life Member status. 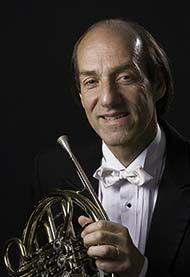 I have played 4th horn professionally in 4 different orchestras for almost 45 years now. I didn't start out meaning to be a low horn player. My horn teachers never steered me in the direction of being a high or low horn player. It just happened that my first successful audition was for a 4th horn position. I believe I was fortunate to have found my niche. When I was around 12 years old and had been playing for just a couple of years, I was having a horn lesson when all of a sudden my teacher asked me to play the theme from "The Munsters". This was a popular TV show at the time, and I was completely mortified. I had been playing it at school while warming up, and another of my horn teacher's students had heard me and went to my teacher, wanting to know why she wasn't teaching the "The Munsters" to him. I thought I had done something wrong by playing something not assigned, but I guess she was glad to know that I could pick something up on my own. Playing in the New York Philharmonic horn section is like meeting up with your friends every day and having a great time. I can't believe it's a job. (Don't tell the management). You get to make music with your friends and their wonderful artistry makes your playing better. 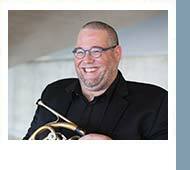 Howard Wall has been 4th horn in the NY Phil for 23 years after playing in the Philadelphia Orchestra for almost 19 years. Before this he played 2 years in the Phoenix Symphony and 1 year in the Denver Symphony. 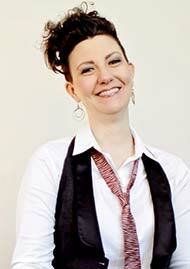 He also plays in a duo with his wife former MET concertmaster Elmira Darvarova. We are looking forward to seeing you in Brazil for the 2017 International Horn Symposium, June 26-30! Bookmark the website and return to it often as more information gets added. This is going to be an exciting and packed event. See you there!